With high visibility, it brings you strong sense of security. Available for shipbuilding industry, steel industry, parking lot, outdoor work and sport, etc..
Light weight, comfortable, strong and portable. Easy to wear and match your different kinds of clothes. It's adjustable, fits most men and women with different body sizes. With reflective strap, even if in night, you will be seen clearly and your safety will be well protected. Made by advanced technology focusing post processing. It can solve your driving problem in night. Light weight, comfortable, strong and portable. Easy to wear and match your different kinds of clothes. 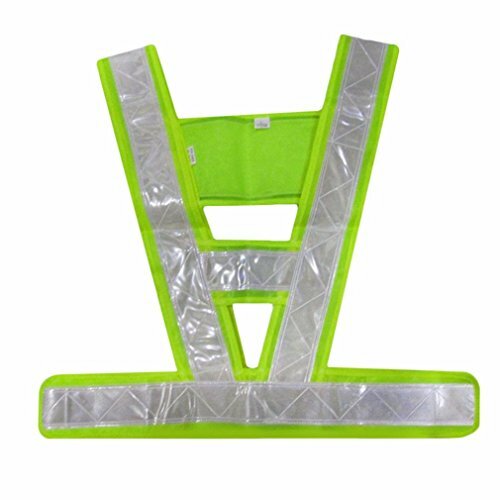 With reflective strap, even if in night, you will be seen clearly and your safety will be well protected. The Default Delivery Time is about 7-15 Business Days, Usually Get the Item in about 7-10 days. If you have any questions about this product by EBRICKON, contact us by completing and submitting the form below. If you are looking for a specif part number, please include it with your message.